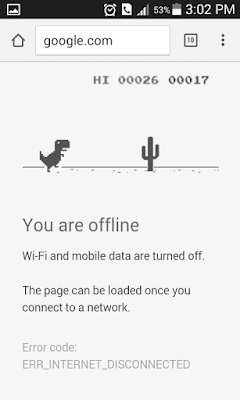 Google chrome is not only for browsing internet, can also use for playing an interesting game. Nowadays Google chrome is the most popular browser on both computer and mobile phones. Actually the popularity of Google search engine made chrome popular and hit. One of the main advantages of Google Chrome is its speed to load web pages. Rather than a browser, Google chrome is using as a download manager, media player, pdf reader, pdf creator etc. But you know Google chrome contains an inbuilt game..!!! Not a heavy graphics game, but an interesting game. How to Get Game with Google Chrome? There is no direct way to access game window. 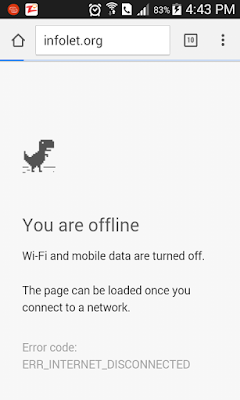 If you are browsing with Google Chrome, then if you can’t load the webpage due to any reason, then an error message will be shown with a picture of dinosaur or dragon. This is the game window. Just touch on the dinosaur picture, then dinosaur will start to run. It is a game like the game in old Nokia phones. While running on the screen, many type of obstacles will appear and you have to escape from touching them by jumping over. In mobile phone you have to touch on screen to jump over obstacles, in computer you have to use 'up arrow key'(↑) from keyboard . If your dinosaur touches on any obstacle, then your game will be over. And you can start new game by taping on restart icon. 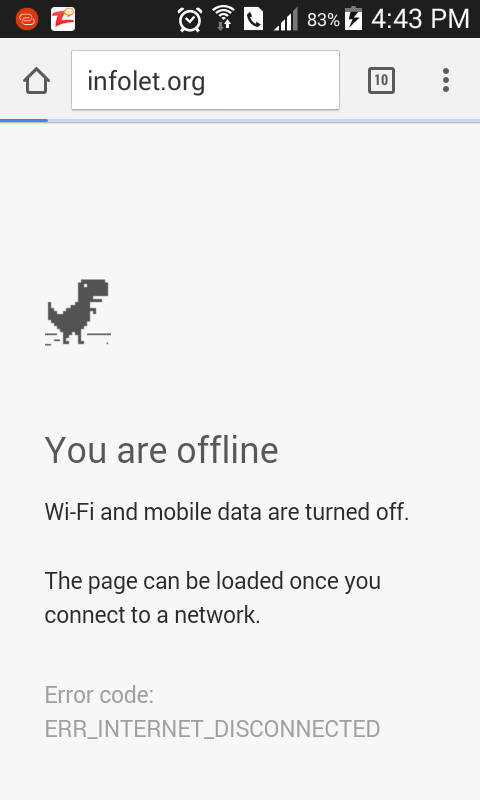 If you can’t get this error screen (Normally error with page cannot be loaded, or WiFi and mobile data are turned off) then ensure that your network connection is disabled either mobile data or Wifi. 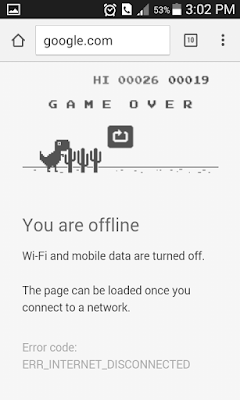 This game will not work on old version of Google Chrome for both Desktop and mobile phone (Mainly Android). 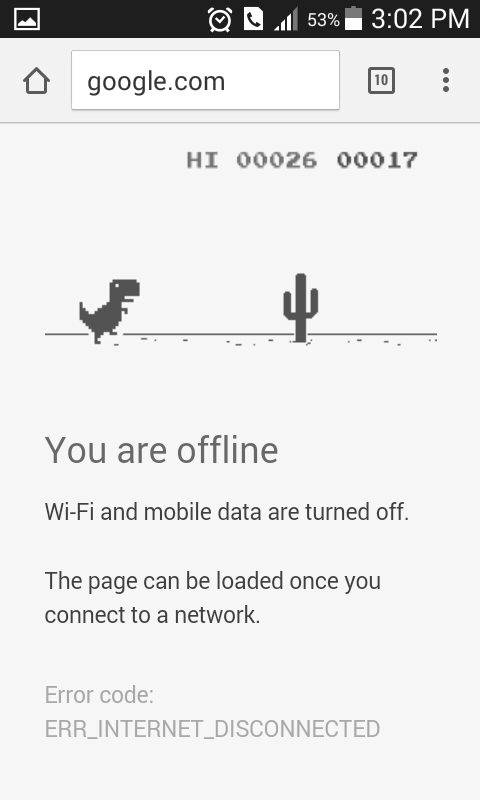 Actually this game was developed by Google chrome for people who can’t open the web page and get bored. So I am sharing this trick as a technology tip not for playing and wasting time. Be careful while wasting time. Time is precious.